If you're throwing the hottest party of the year, get the word out with the Year Neon Lights Poster. This stunning poster allows for two image uploads, so you can show off your sponsors or special guests. The bright pink and blue lights stand out on the dark background, showcasing your event information. 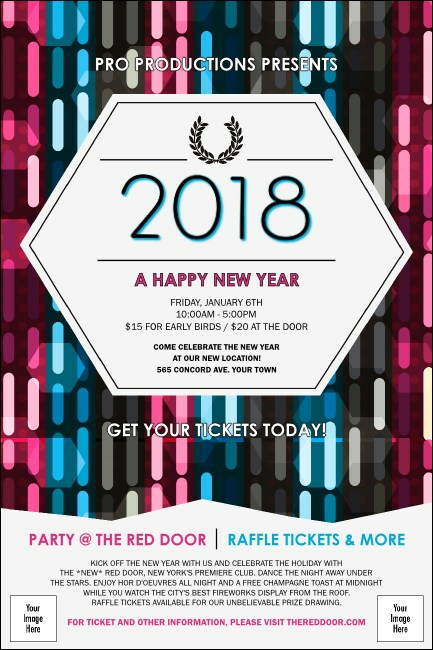 Find the right design for your stellar celebration at TicketPrinting.com.